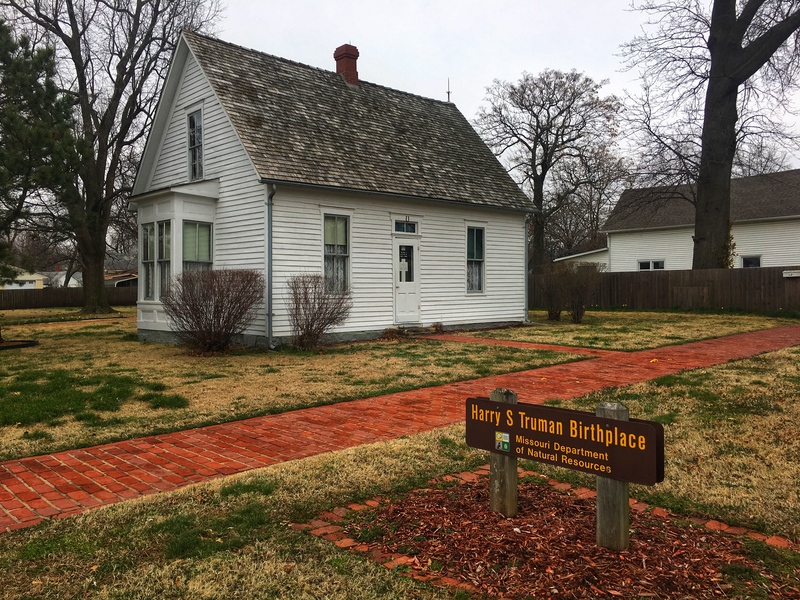 When we were in Independence, I discovered a brochure for Truman’s birthplace. It happened to be right along our route to Arkansas, in the tiny town of Lamar, Missouri. 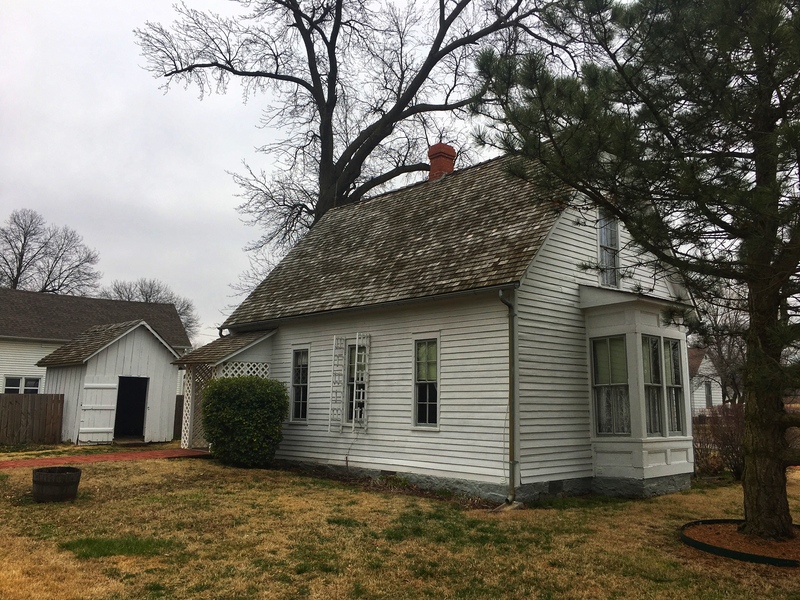 Truman was born in the downstairs bedroom of this tiny house on May 8, 1884. His parents had bought the house as newlyweds in 1882, and sold it when Harry was 11 months old. As we approached the visitor center across the street, a young woman came out and offered us a tour. 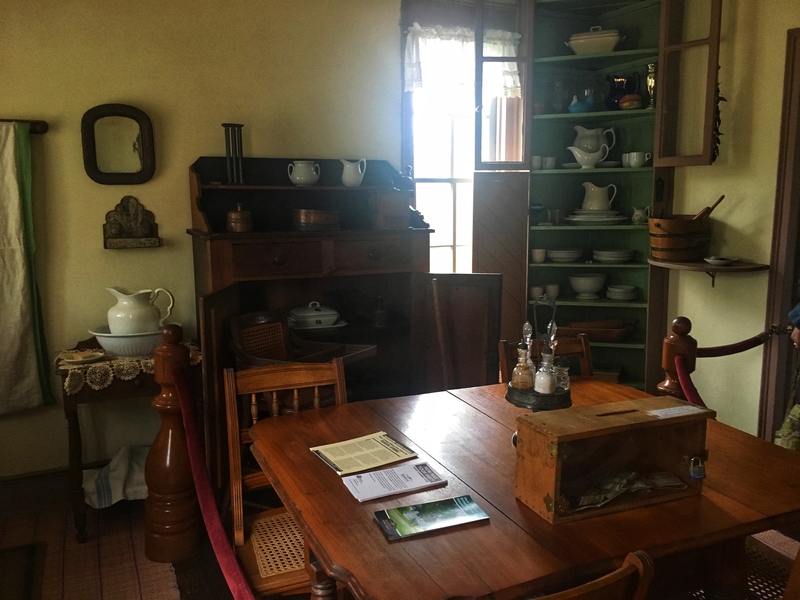 Nothing in the house was original to the Trumans—it’s just filled with period furniture—so the tour didn’t take long. The guide knew her stuff, although her presentation was a bit timid. 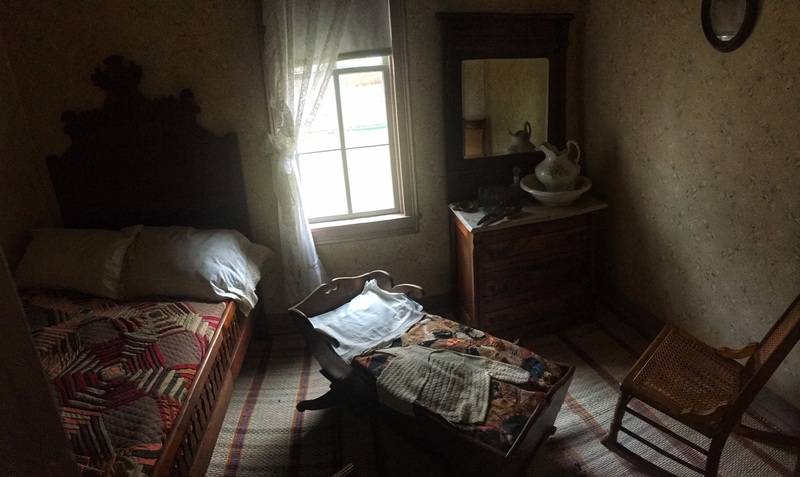 The room in which Harry was born. 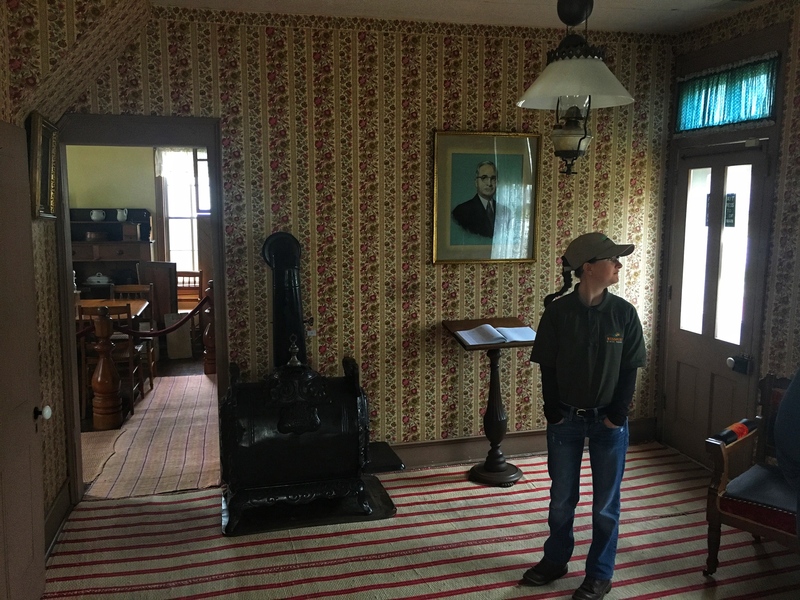 Two shots of the front room, and our guide. 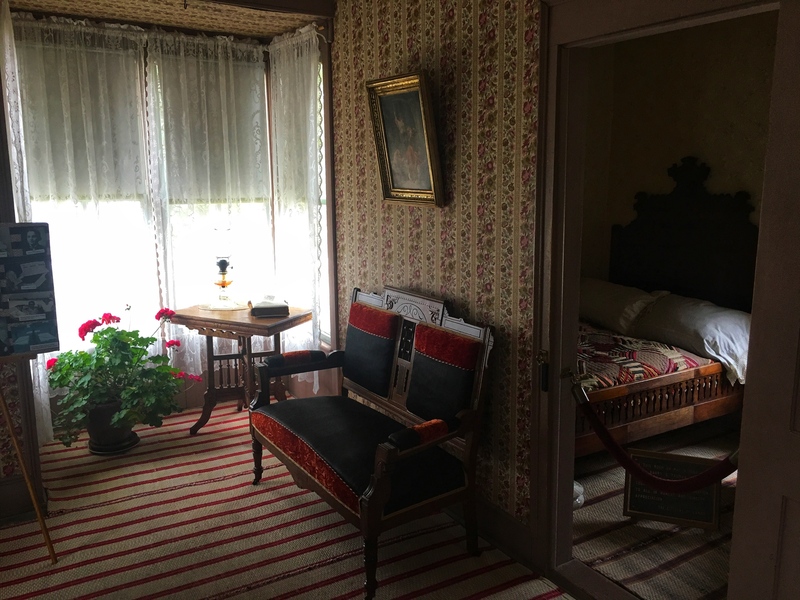 An upstairs bedroom. 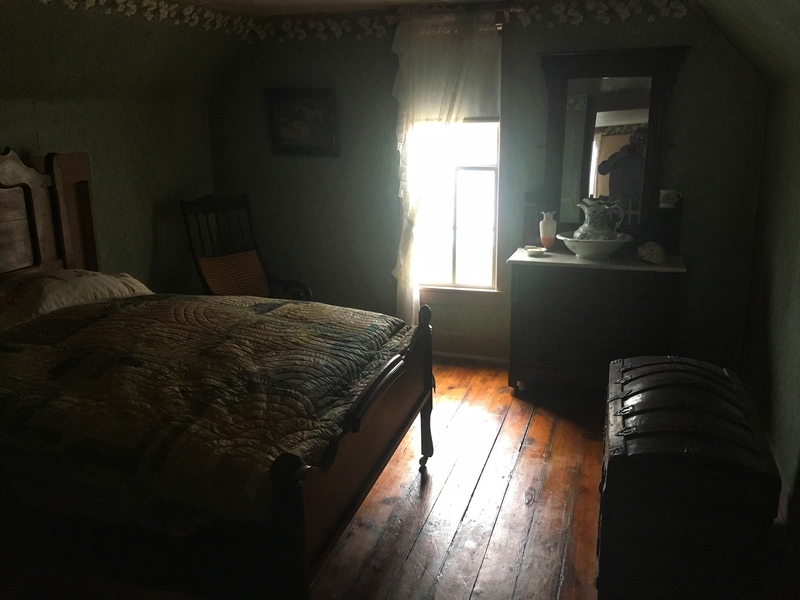 There was one more similar bedroom upstairs, and a bedroom off the kitchen used by a young neighbor who helped out around the house in exchange for room and board. And that was it. I don’t think we were there for 20 minutes.